this product contains alcohol. this product contains alcohol. (required)By purchasing this product, I confirm that I am 18 years of age or over. this product contains alcohol. (required)By purchasing this product, I confirm that I am 18 years of age or over. this product contains alcohol. (required)By purchasing this product, I confirm that I am 18 years of age or over. this product contains alcohol. (required)By purchasing this product, I confirm that I am 18 years of age or over. 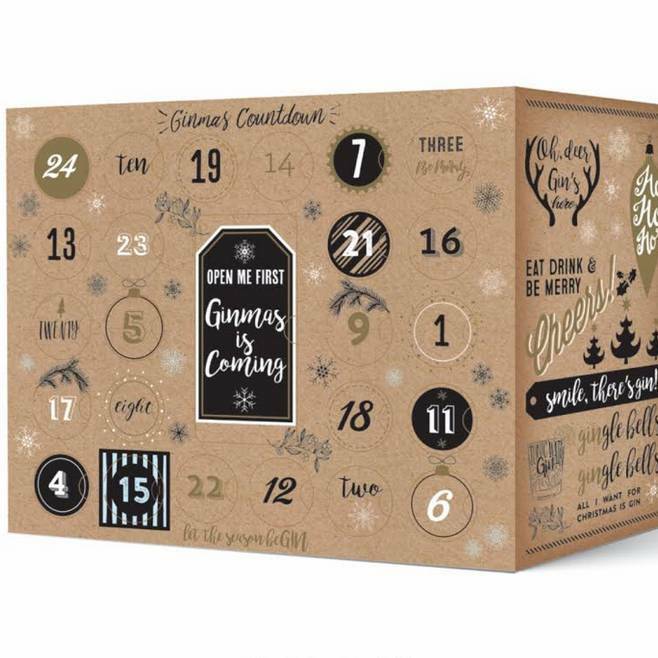 This Christmas or Ginmas,as we like to call it, you can buy a loved one (or yourself ) an Gin advent calendar ! 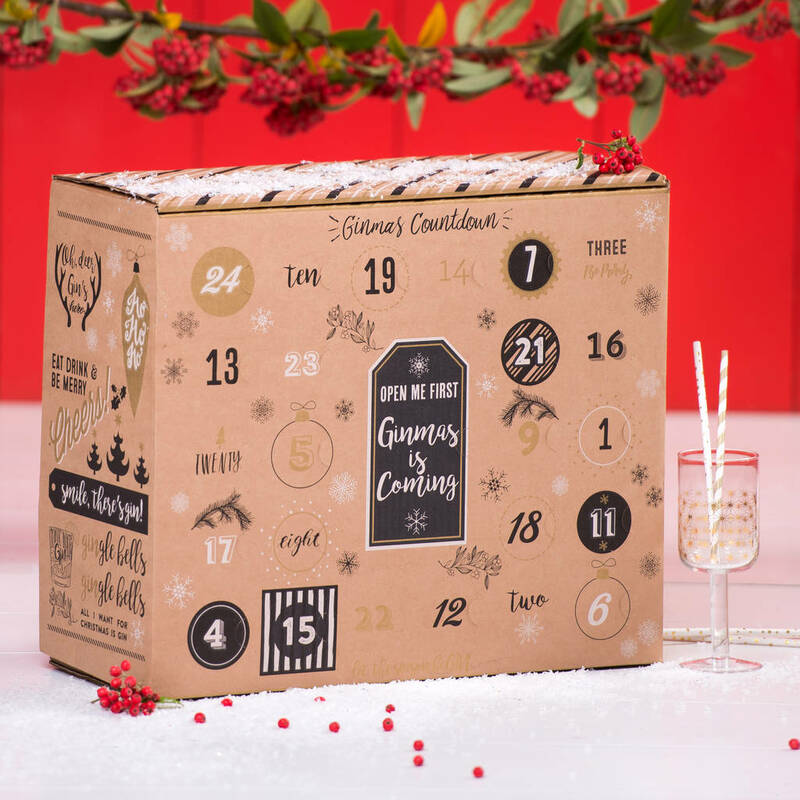 This GIN advent calendar is filled to the brim with mini bottles of unusal Tonics and a full bottle of Boutique Gin to open each day. 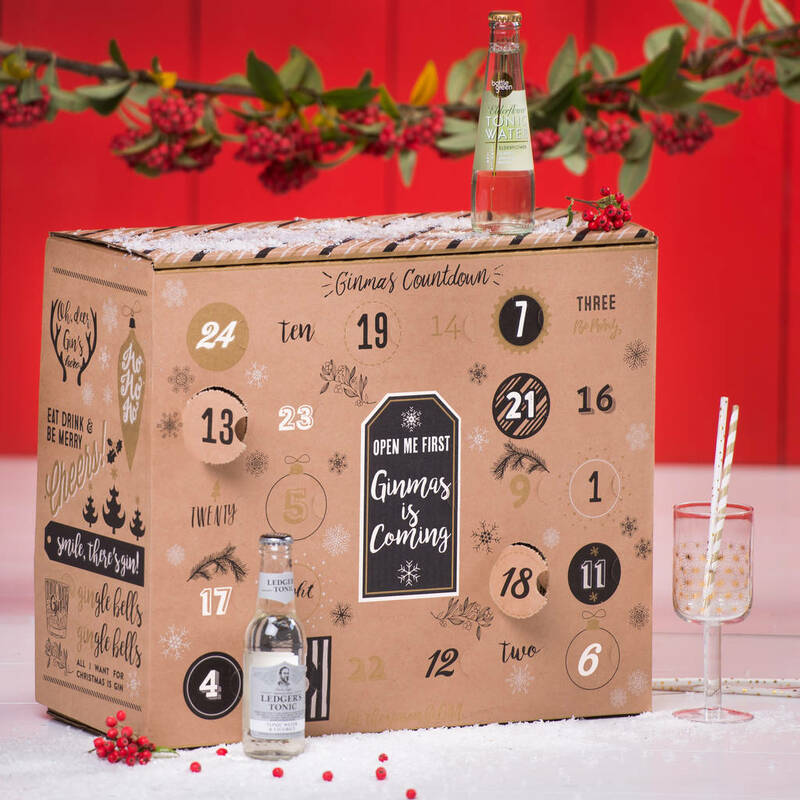 There’ll be brands such as Fever Tree and Fentimans, as well as Double Dutch, Bottlegreen, London Essense and Franklin and Sons. 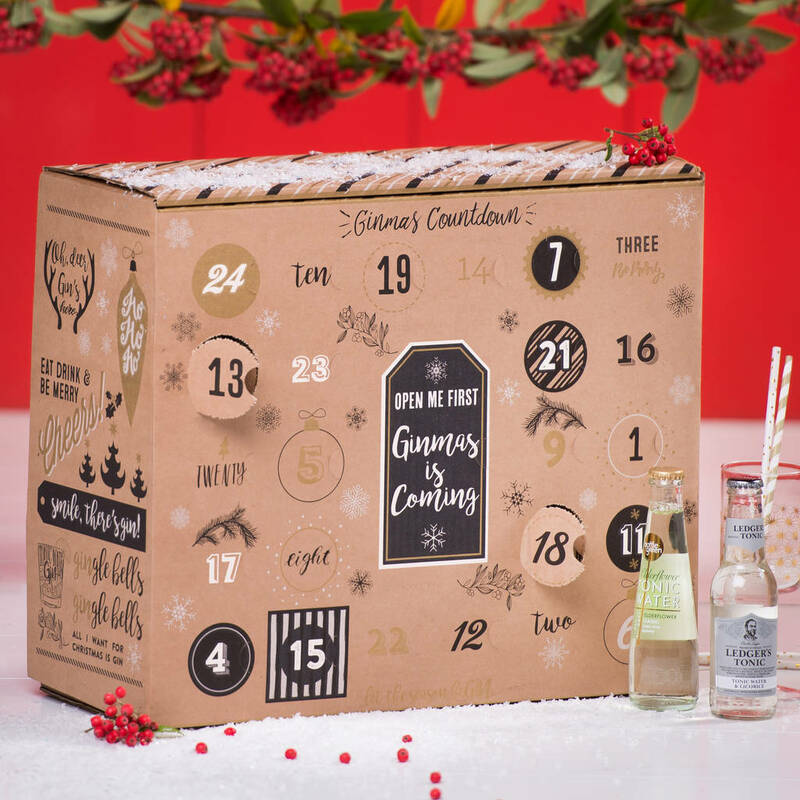 And it won’t just be the same old Indian tonic water, either gin aficionados can get mixing with flavours such as pomegranate and basil, tangerine, cinnamon and cucumber and watermelon. Yum. Obviously, you won’t be simply necking back a tonic every day – as the name suggests, there’s also some actual gin involved. 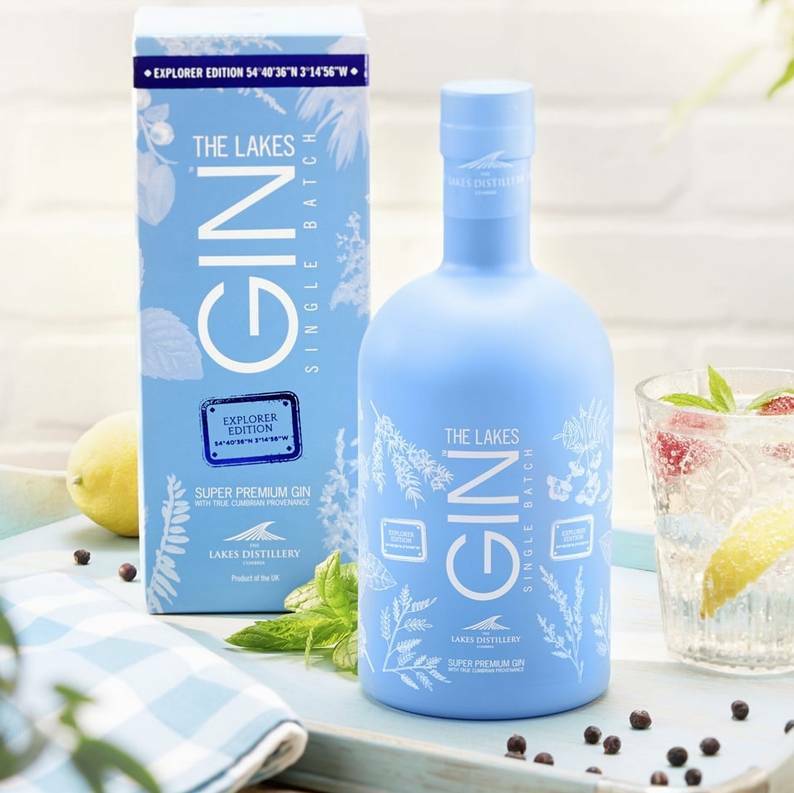 We include a full-sized bottle of Lakes Explorer Gin so that you’ve got enough to last you throughout December to mix with the various tonics you’ll be trying out. 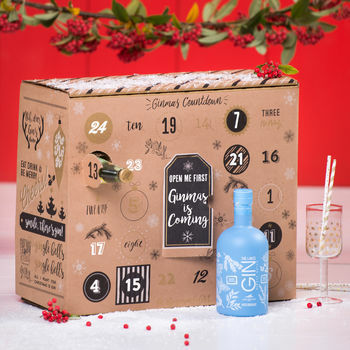 Basically, you’ll be a gin and tonic expert by the time Christmas Day comes around or just sozzled ! Nose: Zesty orange citrus, coriander and cassia bark followed by hints of earl grey tea and cracked black pepper.Palate: Herbal and complex with vibrant notes of juniper, spice and coriander, leading to a peppery finish. The word ‘gin’ is derived from the Dutch for juniper, ‘geniver’. The juniper berry is the botanical at the heart of gin making.